Editors Select, October 2013 - When I'm in the mood for nonfiction, Bill Bryson's brand of witty, creative narrative is exactly what I look for, which is why One Summer: America, 1927; is on my list for October. 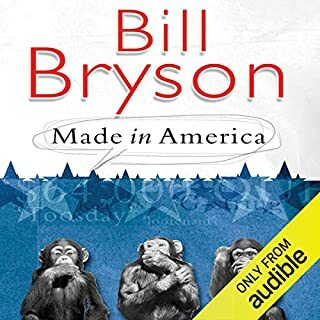 In this book, Bryson takes us on an in-depth journey through a particularly eventful five months in American history: May - September, 1927. Not all newsworthy stories make it to the front page, but Bryson ensures the obscure, peculiar, and downright fascinating details of this summer are not forgotten, seamlessly weaving them into the events of the big headlines - Charles Lindbergh's solo flight, Babe Ruth's home run streak, and Al Capone's rise to power, to name a few. 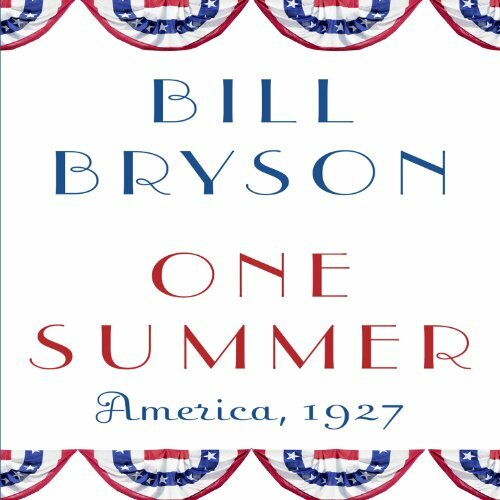 Self-narrated, One Summer is sure to be must-listen for Bryson fans, nonfiction listeners, and anyone who found themselves obsessing over the details in history class. One of the most admired nonfiction writers of our time retells the story of one truly fabulous year in the life of his native country - a fascinating and gripping narrative featuring such outsized American heroes as Charles Lindbergh, Babe Ruth, and yes Herbert Hoover, and a gallery of criminals (Al Capone), eccentrics (Shipwreck Kelly), and close-mouthed politicians (Calvin Coolidge). It was the year Americans attempted and accomplished outsized things and came of age in a big, brawling manner. What a country. What a summer. And what a writer to bring it all so vividly alive for us in this certain best-seller. 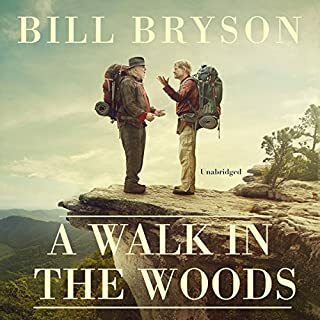 I wasn’t worried about buying this book without knowing what it was about, because I trust Bill Bryson to be worth the risk, and he didn’t let me down. At first it appears to be the story of Charles Lindbergh’s solo crossing of the Atlantic, but then it expands to also become the story of all the other interesting things that were going on in America that summer. 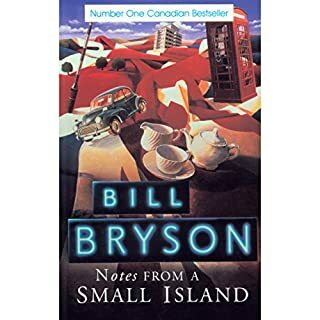 Bryson rambles from story to story in no particular logical order, but all the characters he mentions are colourful and fascinating, such as Babe Ruth, Al Capone and Jack Dempsey. Bryson’s style is very distinctive, full of superlatives and yet simultaneously laced with dry understatement. He is also the narrator of this audiobook, and he does a great job (although his French pronunciation isn’t great!). 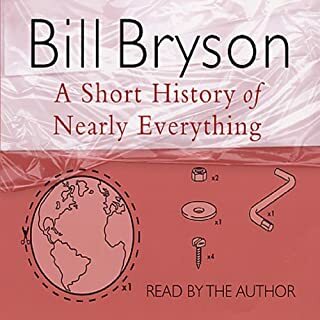 He is such a brilliant storyteller that you wonder if 1927 was an exceptionally interesting year, or whether Bryson could write a similar book about any year and make it just as fascinating. I think the latter is probably true. 2. You would learn a lot about the place where you have shopped for years. The year 1927 was a year of firsts, lasts, prophetic beginnings and tragic endings - precisely the kind of raw material the BB weaves into a tapestry that is wholly Americana. Along the way he adds flesh and bone to the usual sound-bite rehash 1920's history. 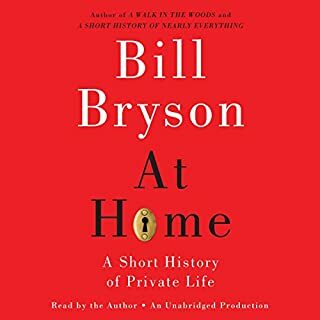 The content of the book; Bryson is such a wordsmith, and I love how he weaves all the events of the summer together with interesting, odd, even weird, details. I could clearly see my grandparents sitting in their parlor, listening to the radio, reading the newspaper, and discussing these events. In reverse, my least favorite characters were Hoover, Lindbergh, and Henry Ford. They don't come off as very pleasant people, but I really enjoyed reading (hearing) about their idiosyncrasies. Warm, pleasant, humorous. I hate to say it, but I was a bit disappointed with the narration of this one, though. It seemed full of unnatural hesitations and pauses. I was moved by how innocent America was in 1927. Even after the horrors of WWI, it seems like we were just on the cusp of worldliness. My mother was born in the spring of 1927, so it was great fun for me to imagine my grandparents, young and happy with a new baby girl, reacting to the events of that summer. This is a wonderful book, make no mistake about that. The cadence of the narration just seemed slightly self-conscious. There were parts where Bryson apparently forgot he was narrating and just told the story naturally, and those were the parts I enjoyed most. 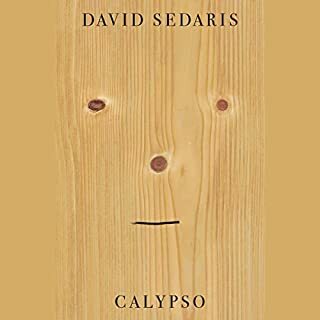 I will still eagerly anticipate future audiobooks written and narrated by this author. 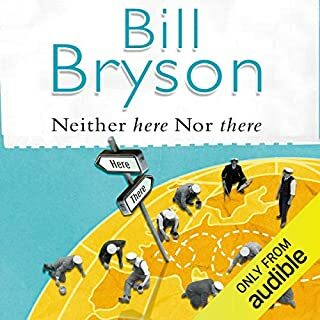 It's the combination of great narration, a little bit of United Kingdom dialect, the understated way Bryson tells the story, and knowing the listener has no responsibility to remember any of it....that make Bill Bryson's gems such a wonderful listening experience. 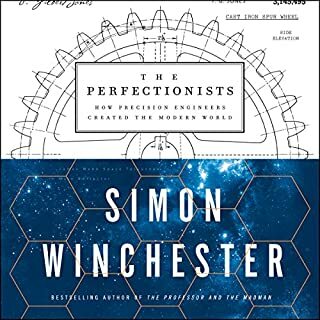 To summarize, listen to be wonderfully entertained, even if you don't recall one morsel of what the book actually was about. Too much detail, engaging written, still eventually is just too much. The epilogue, with another hour of facts, did me in. I caved. Bryson can make any topic capturing. No, the tale is a wonderful listen, and has plenty of content but nothing that needs to be reexamined. Once told and heard is enough thank you. Done well but letf you with the threat that we, like the story's characters, will all have an end; a passing. Did not leave me threatened. Just in melocholia. Seems like Mr. Bryson is considering the duration of all things human. He is a very competent reader, yet this book, I suspect, would be a good read as well as being a good listen. No, a little here and then a little more there seemed to be just right. Yet, it wa a pleasant drift into facts and data told in a most charming manner. If you have read Bill Bryson before, you know what to expect out of One Summer, but that doesn't make it any less amazing. 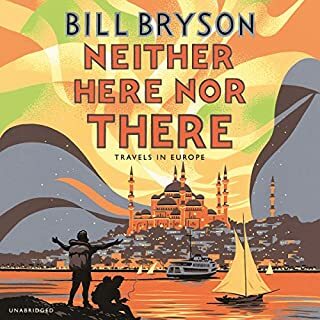 In fact, in many ways, this is a masterclass in Bryson's unique style: a rapid engaging tour through a series of historical incidents (most of which will be unfamiliar to the reader) organized loosely around an unexpected theme. He has done this with science, with the rooms of a house, and now, oddly enough, with the summer of 1927. This ends up being a particularly interesting choice, since the 1920s is often undercovered in history, and the result is a fascinating glimpse of the world becoming "modern" as talking picture, mass celebrity, airplanes, and a host of technologies become mainstream, even as racism and antisemitism appear in virulent forms. So, we get to hear about Charles Lindbergh, Al Capone, Babe Ruth, and a range of other compelling figures from the summer of 1927. 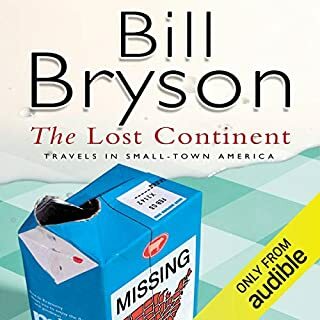 Bryson does not feel particularly compelled to stick with 1927, and the history weaves back and forth, but, simply because Bryson is so good at this, the story stays compelling and suspenseful despite the loose approach to the telling of history and the many rambling directions of the book. And, of course, Bill Bryson is also a great reader. The whole thing is pleasantly gentle and humorous while full of surprising insights into the time. Really, just a wonderful example of popular history set in an understudied time. A great listen all around. I have read or listened to many Bill Bryson books, and One Summer is definitely my favorite. It grabbed my interest at the start, and never let go. There were just so many fascinating things that happened in America in 1927. Babe Ruth, Charles Lindbergh, prohibition and gangsters, anarchists, etc.. This book goes deeply enough into the key characters to satisfy, but also has so many fascinating stories. I sometimes look at life today and think with nostalgia about what life must have been like in those simple olden days. Reading this, you see America in 1927 for the good and the bad, and I realize life today is not so bad. If social history has any interest to you, you should try this book. The author narrated it, and it took me a while to get used to his voice. I wish he had left that job to a professional. Still, I loved the book. Bryson hits it out of the park again! I can no longer see well enough to read the hard copy version, so I can't answer that question. I will say, however, that my husband and I listened to "One Summer" while on a long car trip. We loved being able to listen to Bryson read his own work--and to put the right twist on his humorous asides. We also felt like we were getting a bit of a history class, but with a really funny professor. Last, being an aviation-oriented household, it was absolutely fascinating to hear about the dawn of flight, and all the fuss around Charles Lindbergh. The thing about a Bill Bryson book is that there are always so many wonderful moments, it's hard to pick one. I will admit I still laugh, to this day, about the glass jars Bryson talked about in "The Life and Times of the Thunderbolt Kid." Oh, wait. Different Bill Bryson book. 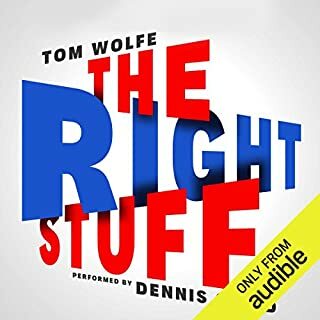 Okay, so this one has a little something for everyone--historic flights, natural disasters, inside info on one of most demonized presidents...it's all there. Which character – as performed by Bill Bryson – was your favorite? 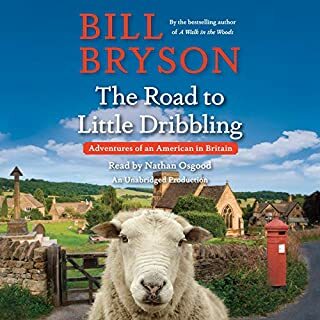 As with any Bryson book narrated by the author himself (with his quirky, Iowan-almost-turned-Brit accent), it's all good. Well, I could have. But there is so much intriguing information in here, you kind of want to listen and then maybe hit the rewind button and listen again, just to savor it. I haven't had exactly the what-will-happen-next feeling I had while reading "Seabiscuit," or "The Boys in the Boat." But I look forward to each moment I spend with this book. Perfect for Bryson fans. Perfect for fans of "Unbroken," "Boys in the Boat," or any David McCullough books. Woops he did it again.